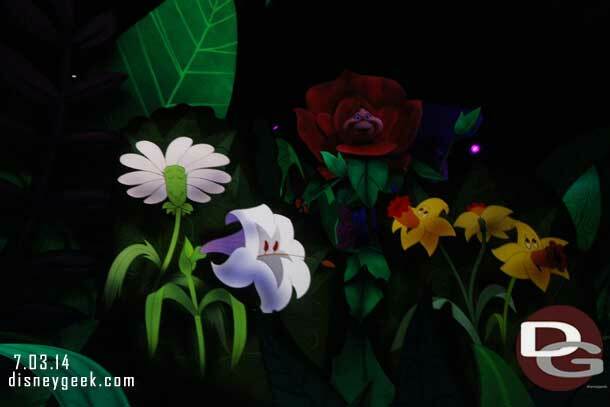 Here is a closer look at comparing a couple pictures in the Garden sequence from 2008 to 2014. 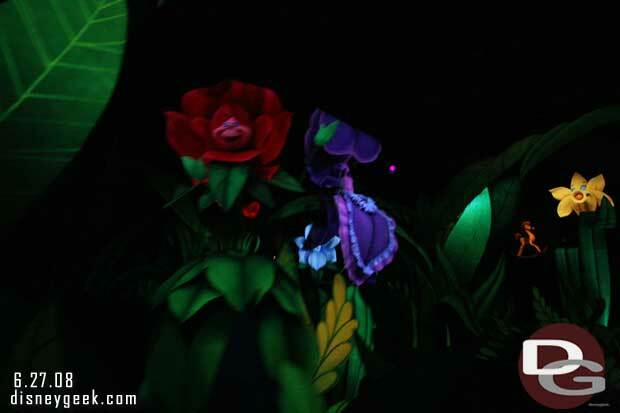 In 2014 notice how the red flower has projected flowers around it. 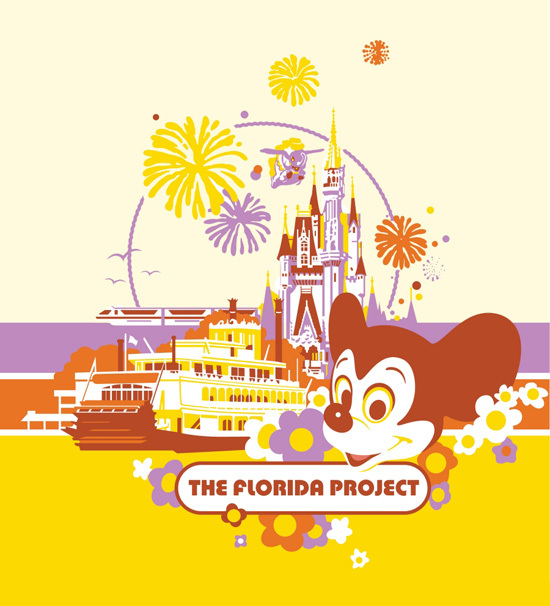 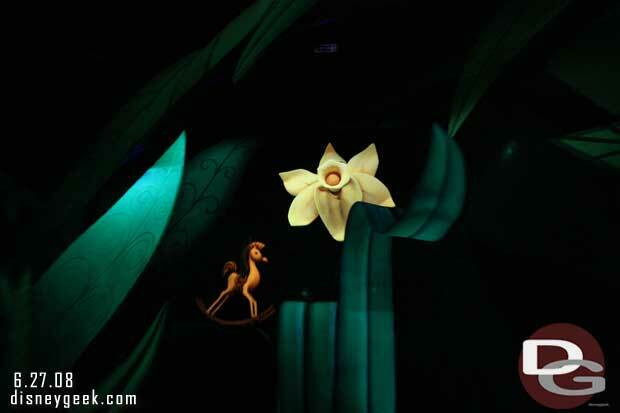 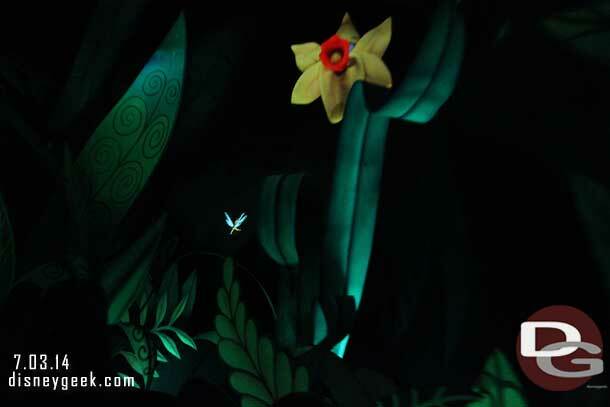 In 2014 the flower is still here, but notice the color change and a projection effect on the left instead of the rocking horse.